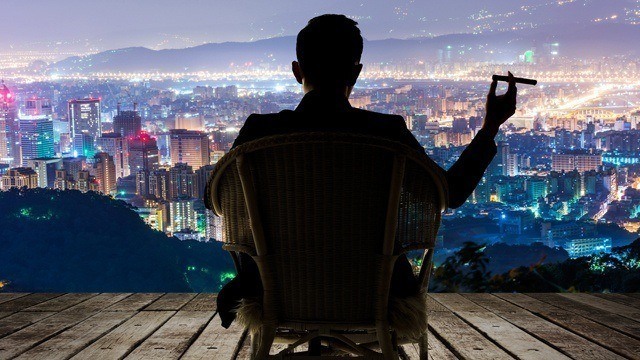 Being a millionaire is a dream for many people, and is seemingly unattainable for some. The fact is that you only ever hear about these millionaires popping champagne and having full financial freedom. They don’t talk about the challenges that come with being a millionaire, and the treacherous road that comes along with it. Although the journey can be rough, the payoff is magnificent. Because of my sacrifice and hard work, I have the ability to work from the most exotic places around the world. Here are the five things that no one will tell you about being a millionaire. It can appear as thought successful millionaires were either born into money or have just always been rich. In my case, and in the case of thousands of others, that’s just not true. It takes years of sacrificing and penny-pinching to save up enough money and invest wisely so that it pays off in the long run. It’s imperative to remember that it’s a process! A lot of young millionaires make the amount of money they do because they didn’t party every night and they didn’t take four overseas vacations per year. You are going to have to make sacrifices, and that can make life not-so-lavish at times.When you hit low points, remember your long-term vision. Yes, you need to keep a social life going to keep your connections close and gain support from loved ones, but you will have to miss nights out and vacations in order to reach the long-term success you strive for. Most millionaires realize that their conventional day jobs won’t make them into millionaires. So they develop side hustles that bolster their incomes. And if you haven’t, I suggest you do. A side job could mean selling second-hand goods on eBay, taking up freelance work online or just accepting a second job. Hustle hard, and multiple streams of income will set you up to reach long-term financial freedom. Sometimes you’ll wonder whether it’s all worth it. Sometimes you’ll want to splurge but know that you’ll blow your entire savings plan. It can be hard to resist the urge to quit. Even when you get there, those feelings won’t change. Expectations are high, but your determination to reach success will be even higher! Again, remember your long-term vision. Low points will come, but the high points will outweigh them completely. Sacrifices will be necessary, but you need a close social circle. You need friends that understand what you’re doing and support you every step of the way, even when you can’t attend every social gathering. There’s nothing more frustrating than a friend who constantly busts your chops because you don’t go out to the club every single weekend. You need friends who are going to support you, so you can learn from each other. Some of these points may seem discouraging, but trust me, it’s all worth it. Try your best to shift your focus to see the path to success as a journey, not a destination. You won’t necessarily “make it”; you will continue growing, your passions will change and develop. But I will tell you that not only will you have a blast doing it, but the payoff will be worth every hour worked and penny saved.